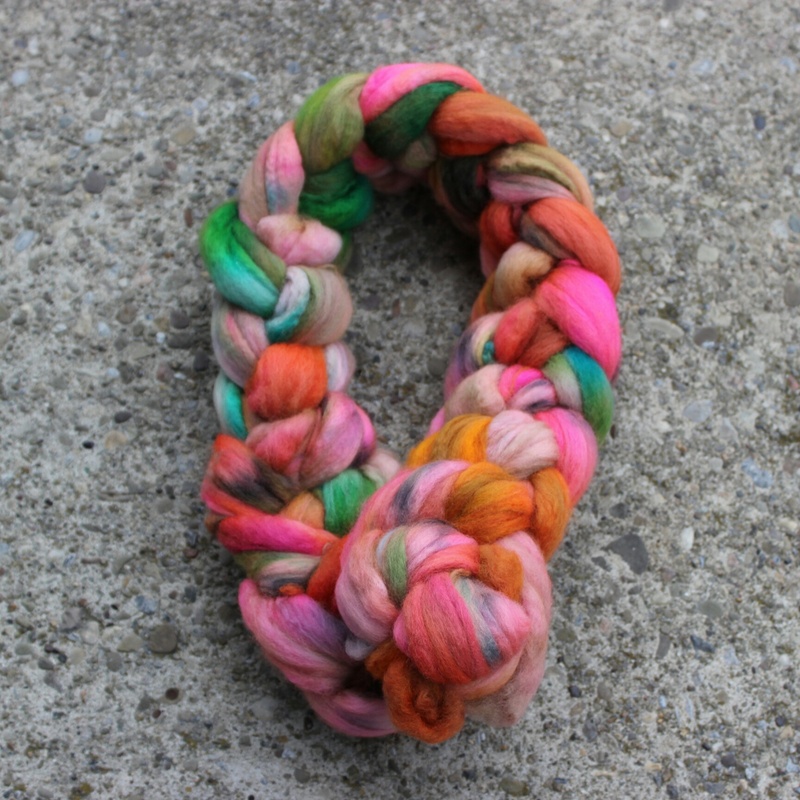 I currently offer hand-dyed yarns and fibers. I have a cosmetology background and was already addicted to knitting and crochet. So my knack for combining color and artistry was already present. However, it wasn’t until I dreamt about making my own yarn that I became interested in spinning and dyeing my own fibers and yarns. I am also a self-starter and am very much an entrepreneurial spirit. I hold a bachelor’s degree in Operations & Information Systems Management from Penn State. I feel like all of the above has contributed to creating my small business selling my own artisanal hand-dyed yarns and fibers. I love that there are no boundaries as to what I can create. 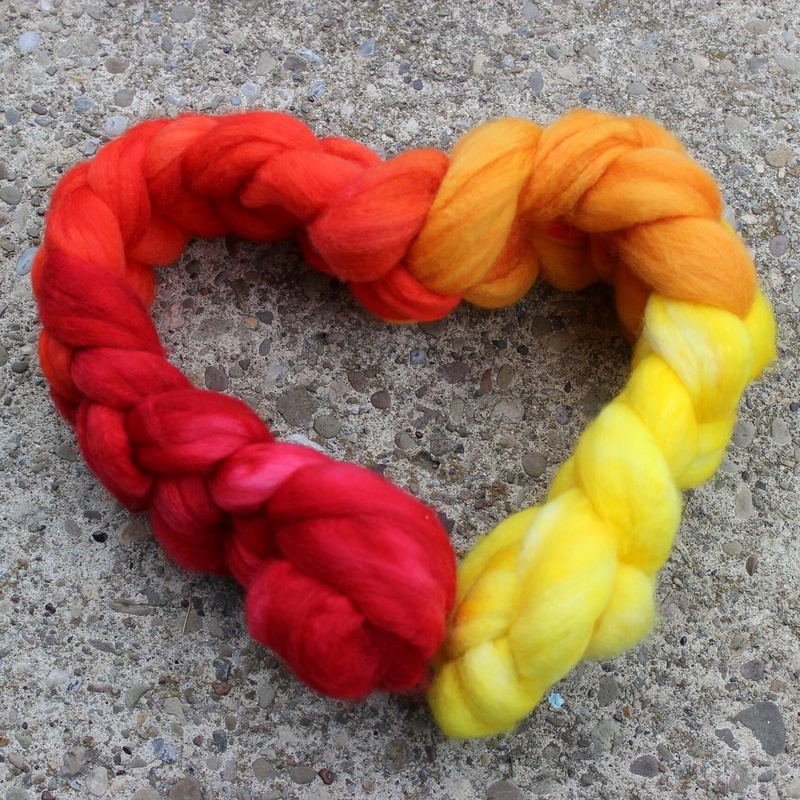 I choose to make mostly one of a kind hand-dyed yarns and fibers in hopes of inspiring a really great finished product that is unique in its own way. 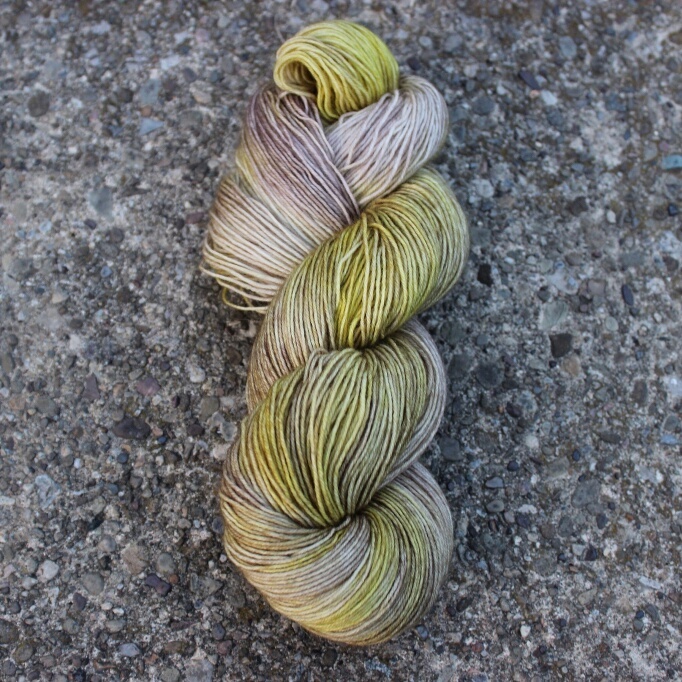 I get inspired by all of the beautiful hand-dyed yarns and fibers made by other indie dyers. I love the energy and uniqueness they all bring and I hope to provide the same to my customers. Having experienced some pretty extensive color training as a cosmetologist, I feel my use of certain colors and techniques make my creations unique. 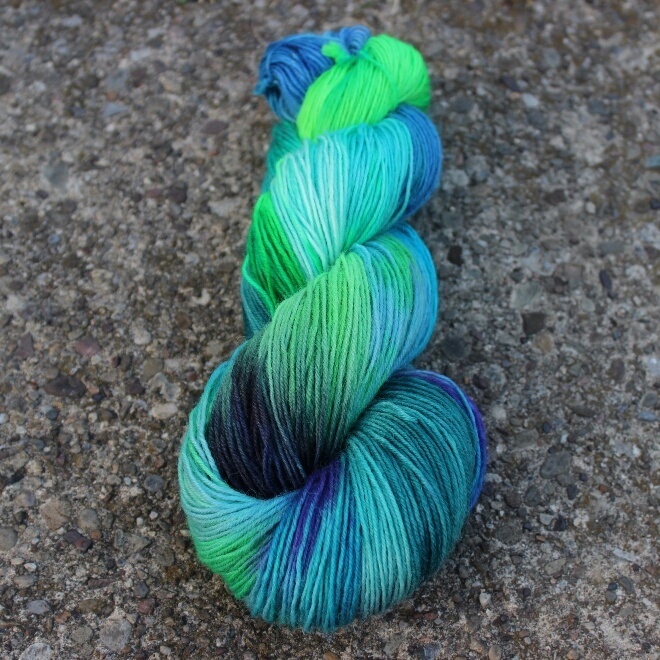 I am currently loving my repeatable colorway Electric Youth. Unique hand-dyed yarns and fibers and wonderful customer service. I feel the two should go hand in hand. My customers are wonderful! As a wife, mom of a pre-schooler, and team leader at my day job, I wear so many different hats. But, I absolutely love it. It keeps me on my toes and I hope to one day be successful enough to do my yarn dyeing full time. My fiber arts superpower is my unique sense of color combining. How is the fiber arts world different for youtoday than it was five years ago? It’s different for me today vs. five years ago mainly because I’ve added spinning and dyeing to my repertoire. It was March 2013 that I purchased my Schacht Sidekick and got into the world of spinning and dyeing my own yarns and fibers. 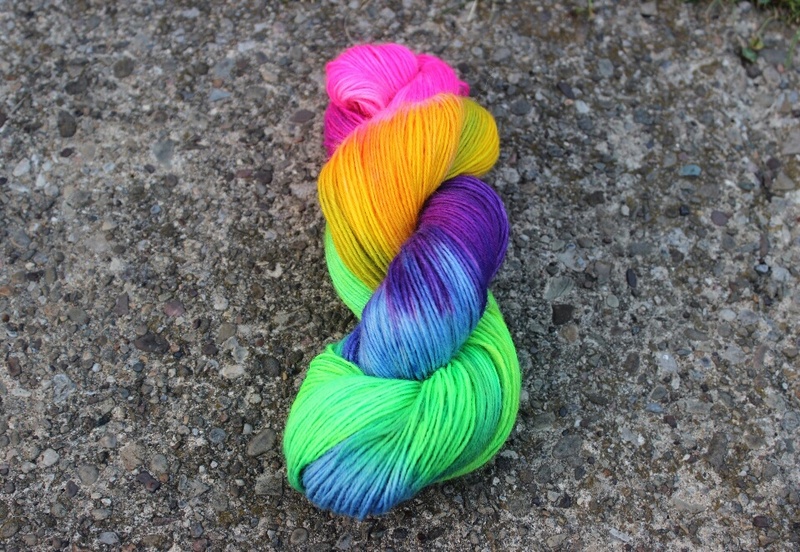 It also seems that both spinning and dyeing are so much more prevalent than ever before. It’s great to see so many successful indie dyers and spinners out there.